Weapon parts found aboard North Korea's Chong Chon Gang at Manzanillo Harbor in Panama on July 16, 2013. North Korea’s connection to Syria’s chemical weapons has drawn renewed attention following the U.N. Security Council's unanimous adoption of a binding resolution on dismantling the Middle Eastern country’s weapons of mass destruction on Sept. 28. North Korea is suspected to have begun transferring chemical weapons technology to Syria since the early 1990s. Changsop Pyon of RFA's Korean Service interviewed Bruce Bechtol, professor of International Relations at Angelo State University in Texas, about North Korea's alleged proliferation activities to nations in the Middle East, as well as the possibility that it may have supplied some nonstate actors. Formerly a senior intelligence analyst at the Defense Intelligence Agency, Bechtol is the author of The Last Days of Kim Jong Il and Red Rogue: The Persistent Challenge of North Korea. Q: There has been persistent speculation that North Korea has supplied chemical weapons to Syria for a very long time. Do you believe this is true? A: That’s probably something very few people actually have knowledge of, but the sources for [those allegations] are out there and have been very clear for a long time ... Initially [North Korea] sold chemical weapons to Syria in the early 1990s and then evolved into building two chemical weapons fabrication facilities for the Syrians in the mid-1990s under a contract. Much of that was negotiated through the KPA (Korean People’s Army), and what’s interesting about that is that both facilities still exist. They have North Korean advisors living there, and in fact, there is a very posh North Korean facility that the Syrians maintain for them 365 days a year. And, at least at one of the facilities, not only do the North Koreans help them with the materials needed to fabricate these warheads and artillery shells, but they actually have the missiles. The North Koreans help the Syrians marry up these weapons ... with Scud missiles. This has been going on since the early 1990s. Q: North Korea allegedly supplied various weapons to Middle East countries, including Iran. Hearing what you’ve said, I get the impression that Syria is North Korea’s biggest client. Is that so? A: I wouldn’t say Syria is the main client. They are probably one of their main clients ... [Their] other key client for both chemical weapons and nuclear collaboration [is] Iran. And what Iran has, but Syria doesn’t have, is a lot of hard currency because of their oil and natural gas industry. The way this program started off between North Korea and Syria in the 1990s was the Saudi government paid Syria millions and millions of dollars for fighting on their side in the Gulf War. So they had this money and used that originally to help finance the WMD (weapons of mass destruction) programs they had with North Korea. That money is long gone now and the Iranians are paying for most of the programs that the Syrians have now. According to [North Korean] defectors, Iranians were even paying for the nuclear reactor Syria had built for them by North Korea. Q: North Korea has no clear national interests in a remote Middle East country like Syria. Why, then, was the North so eager to sell chemical weapons to them? A: Greed was the main motivation, money. As you know, the way that this works is the Syrians, Iranians, and North Koreans all deal with banks in China. That’s how they laundered their money, and that’s how most of the money goes between North Korea and Iran, and obviously Iran has been financing much of Syria’s military for at least for ten years. That’s very important, and what makes it so important now is that Syria has been fighting a civil war for two years. So, they are using these weapons obviously, and when you use a weapon, you have got to get more of that weapon and you’ve got to get resupplied. So, what’s happened in Syria is in the past few months there’s been an uptick in the number of North Korean advisors and logistics personnel on the ground that are helping Syrians resupply themselves with missiles and chemical weapons, but not just that. Also with things like artillery, ammunition, small arms, rocket-propelled grenades, etc. All that keeps being resupplied by North Korea as the Syrians are fighting the civil war. Q: There were some reports that Pyongyang also sold weapons to the Islamic militant group Hezbollah, now allied with Syria in its civil war. What’s your take on this? A: Well, that’s right. Within the North Korea, Syria, and Iranian connection, there is another important entity and that is Hezbollah. North Korea has been supplying weapons to Hezbollah, building facilities for Hezbollah, and actually training Hezbollah field commanders for at least 20 years now. Let me give you an example. After the war that Hezbollah fought with Israel ended in 2006, about 100 [Hezbollah] commanders went to North Korea to train under the North Korean Reconnaissance Bureau auspices in 2007. So, now you have not just one military force that the North Koreans are supporting and proliferating to, but you have two, because the Syrians are fighting the war, now Hezbollah has allied with them, and North Korea is supplying, training, and advising both of these forces, and Iran is supplying hard currency that make it necessary for them to do so. Q: So, the North Koreans have even approached nonstate actors such as Hezbollah to make money? A: That’s exactly it. And Hezbollah is not the only one. North Korea supports various non-state actors that engage in terrorism. Hezbollah is probably one of the most profitable for them because of its seemingly unending flow of cash that Iran is willing to pay for all these weapons and training and facilities that the North Koreans provide to Hezbollah. So, it’s very profitable for the North Koreans. But they are not the only ones. During the civil war in Sri Lanka the North Koreans were supplying the rebel Tamil Tigers with a lot of stuff, such as machine guns, artillery, rocket-propelled grenades, small arms, even naval patrol boats. And the way they were getting paid in that case was that there were many expatriates from the Tamil Tigers living in the United Kingdom and the United States who’re quite wealthy. 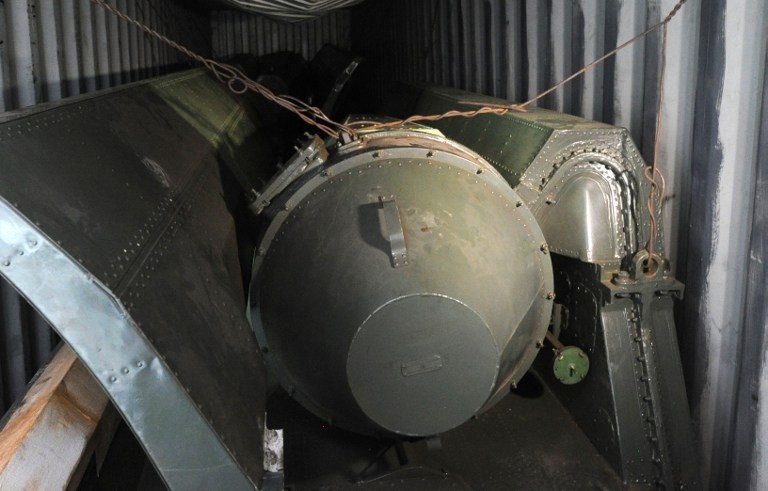 These expatriates were sending money to North Korea to pay for all these weapons. Do you think North Korea cares about the Tamil Tiger cause in Sri Lanka? Of course not! But it’s just a matter of getting paid cash. Now we see over the past couple of years they’ve been supplying al-Shabab, which is an al-Qaeda-affiliated non-state actor terrorist organization in Somalia. So, this non-state actor supporting of terrorism is nothing new, certainly, for the North Koreans, and it certainly is nothing that has stopped under Kim Jong Un—it’s ongoing. But the important thing about that is ... that the biggest money-maker when it comes to support for terrorism of non-state actors is Hezbollah. Q: The Bush administration introduced the Proliferation Security Initiative (PSI) in 2003 to stop the trafficking of weapons of mass destruction, such as nuclear and chemical weapons. Do you think the PSI was effective in preventing North Korea from engaging in proliferation activities? A: The North Koreans are very good at getting around sanctions against their front companies and banks, and they’re also very, very good at getting around initiatives taken to stop their actual proliferation shipments to various countries and non-state actors around the world. The PSI is a very good thing, and at least we're stopping some of the North Korean proliferation to other countries, but I don’t think we're stopping most of it. You know about the methods that the North Koreans use ... such as reflagging ships every time they go into a port. They do things such as putting their cargo in containers on ships that have nothing to do with North Korea ever, such as French ships or Spanish ships, ships from New Zealand, or Mongolia. They put the containers on these ships and fill them two-thirds full of weapons, and the other third with something like seaweed. Q: As you know, North Korea was taken off the U.S. list of state-sponsored terrorism. If North Korea’s proliferation activities are continuing, isn’t it time for Washington to reconsider that decision? A: Well, that’s important question and one that I've been asking ... for several years. To me, it’s just insane that North Korea has not been put on the United States State Department list of nations who support terrorism. [Former President] George W. Bush dropped them off the list as part of a deal where the North Koreans supposedly terminated their plutonium nuclear program toward the end of the Bush administration. [But] they had no intention of terminating their nuclear program, and they had no intention of letting inspectors look at their facilities or fissile materials. [North Korea] lied to the U.S. government and they ended up being taken off the list of nations supporting terrorism for no reason. My counter to that is, "Why did we take the off in the first place?" We knew they were supporting Hezbollah when we took them off the list. We knew they had supported the Tamil Tigers, and they supported Iranian Republican Guard Corps.—another terrorist-designated organization. So, why would we take them off other than to cut a deal? And then, when they broke the deal—and I think that everybody agrees they broke the deal—why did the Obama administration not put them back on the list of terrorism-supporting countries? That's a very important move by the U.S. government because if they [put them back on the list] it would take the lead in getting other nations to go along with more stringent sanctions. This was a great article, but do we know NOW, where they got the chemicals? What does Syria think about all this? Bruce almighty. Great article. Might use your thoughts here in Carlisle. Good insight. Former student.